Say cheese! 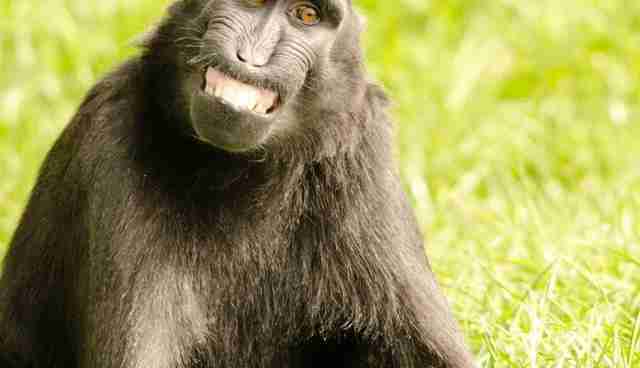 These grinning animals are ready for their close up. 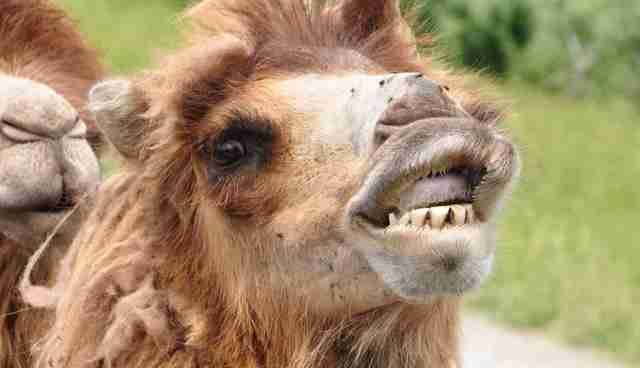 Camels are known for their large lower teeth, which continuously grow throughout their lifetimes. Their lips are also prehensile, making them capable of grasping and seizing, which also makes these camels able to pull them back to shove off their smiles. This toothless smile isn't quite as toothless as it seems. Deer only have incisors on the bottom jaw, often covered by the lower lip, which is why you'll see them pulling at grass rather than cutting it with their teeth. 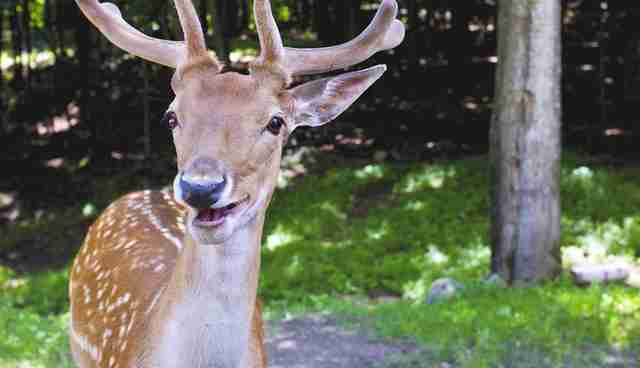 The gummy grin might make him look a little like your grandpa without his dentures, but the spots on his back indicate that this guy is still a fawn. 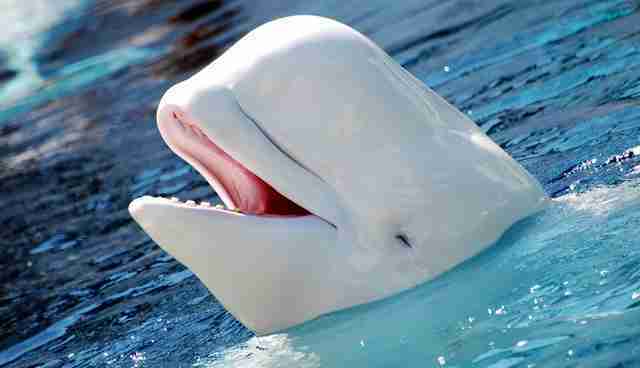 Belugas are often referred to as sea canaries, because of their ability to mimic other sounds and their use of singing as a form of communication. Don't let those big, flat teeth fool you though: the beluga whale doesn't actually chomp down on its food -- it swallows it whole! While "yawning" is a normal way for the crested black macaque to show its dominance among its group, this guy is actually letting his friends know that he comes in peace. Males bare their teeth like this to let others know that they have no aggressive intentions. 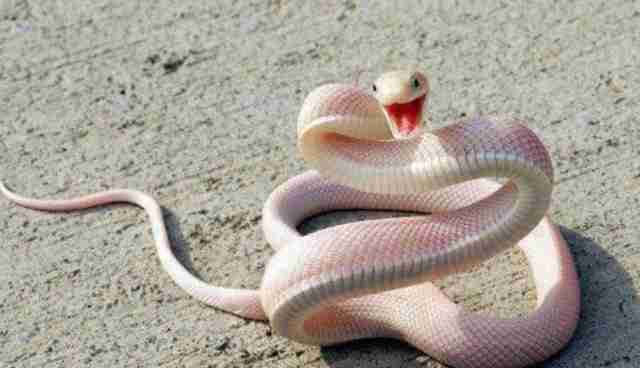 Who says snakes can't be cute? This little guy is telling a different story, that's for sure! You can't tell from this picture, but there are sharp fangs hiding in there, waiting for any threats or danger. Corn snakes are constrictors, though, meaning they don't depend on venom to catch their prey. 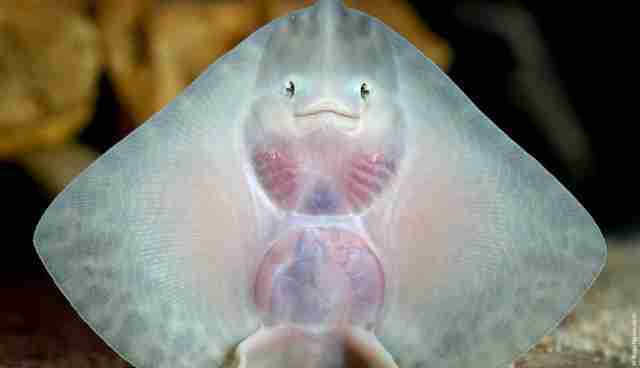 The thornback ray is hiding anywhere between 36 to 44 rows of teeth behind that smile. 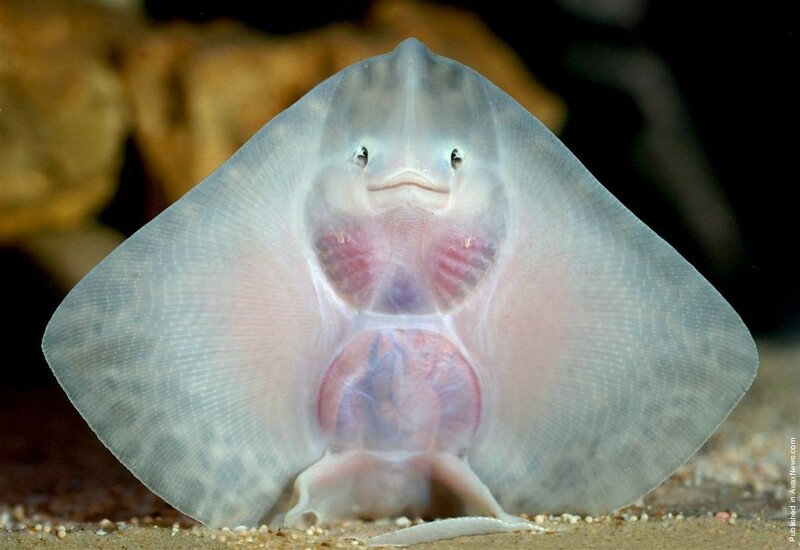 They use them to feed on small crustaceans and fish along the ocean floor and, when a tooth is worn down, it just gets replaced by the a tooth in the next row in line. "What goes black, white, black, white? A panda rolling down a hill!" 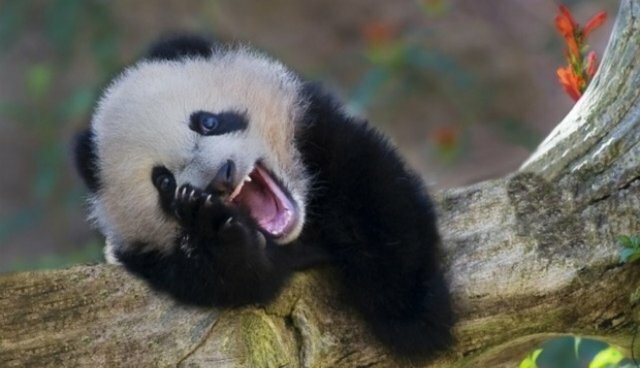 This baby panda has all the jokes. 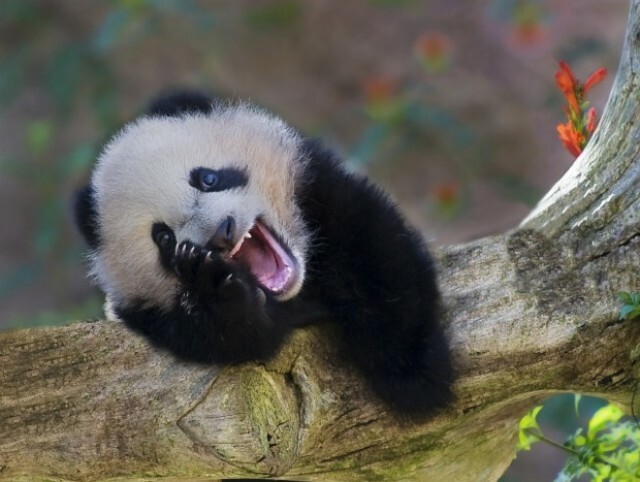 Don't let sharp fangs scare you, though -- pandas spend most of their time chomping away on bamboo. But when they occasionally stray from their plant-based diet, they do have the benefit of the largest set of molars of any carnivore on Earth.